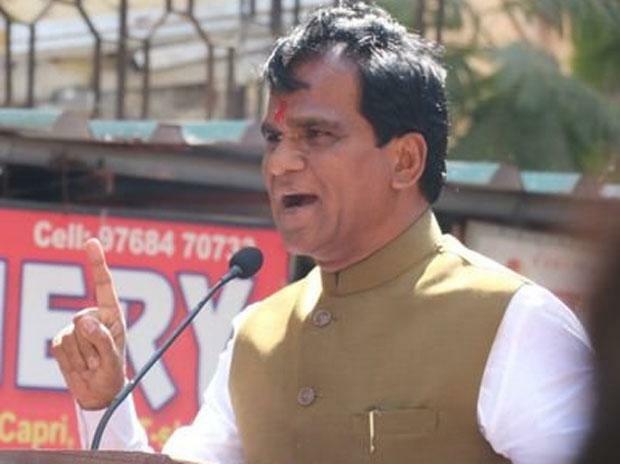 A video has surfaced on social media purportedly showing Maharashtra BJP president and Jalna MP Raosaheb Danve telling a public meeting that he would give money in lieu of support to get elected again. The Bharatiya Janata Party (BJP) MP is also heard saying "all thieves" have united against Prime Minister Narendra Modi and him. "I will give you money to support me in the election... My opponents do not have money.... Will you support me?" he was purportedly heard saying in the clip that surfaced on social media on March 2 when the public meeting was held. "All thieves are now united against Prime Minister Narendra Modi while in Jalna, too, thieves have ganged up against me," he added. Danve was not available for comment. Recently, local MLA and Shiv Sena minister Arjun Khotkar announced that he would contest against Danve to tame the "arrogance" of the BJP. Danve's statement against his opponents has come at a time when his party is trying to dissuade Khotkar from contesting against the state BJP chief. The Sena and the BJP last month announced a seat-sharing deal for the Lok Sabha and Maharashtra assembly elections. The state polls are due in the second half of 2019. Senior BJP minister Subhash Deshmukh Monday held a meeting with Khotkar and Danve to sort out differences between them. Not new to controversy, Danve had triggered a row in 2017 when he reportedly said farmers continued to complain despite the state government doling out sops to bail out tur growers. Danve has been winning the Jalna Lok Sabha seat since 1999.